Endra is a specialist in the area of Intellectual Property with more than 16 years of experience. He represents clients on all aspects of Intellectual Property Rights protection in Indonesia that include protection of patent, trademark, copyright and industrial design. Endra also advises multinational and local clients on the management of their Intellectual Property Rights portfolio in Indonesia, prepares and attends official actions at the Intellectual Property Office. He also has extensive trial experience and has argued technical and complex IP issues before the apex court in Indonesia. His landmark dispute cases are Versace vs. Danatella Versace, Medusa logo vs. Medusa, Fox vs. Fox Ladies, SKF vs. SKFSKC, COBB vs. Golden Cob, Jasper Conran vs. Conran and Olympic vs. Olympic. Endra also has a wide array experience in drafting and reviewing various agreements, cease and desist letter and warning advertisement relating to the Intellectual Property matters. He continues to actively prosecute cases of IP rights which find difficulties in registering and manage work relating to the prosecution to grant Intellectual Property Rights on behalf of his clients. Prior to joining Roosdiono & Partners, Endra was the Managing Partner of Citius Intellectual Property and Eclipse Intellectual Property where he represented clients on all aspects of Intellectual Property Rights protection in Indonesia. 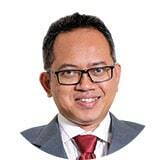 He was the Head of Trademark and Litigation Division at Biro Oktroi Rooseno for seven years and the Head of Litigation Division at Amroos & Partners for five years.